Gucci By Gucci EDT is a lighter and younger version of the acclaimed Gucci By Gucci EDP. Gucci By Gucci EDT celebrates the rebirth of the modern chypre fragrance, with a lighter and more delicate base note, for a softer version of Gucci sensuality. 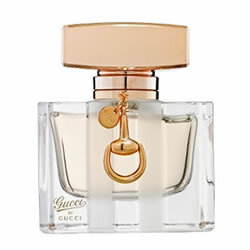 Gucci By Gucci EDT combines soft and soulful notes of Tahitian Tiara and Spider Lily, with Guava, Patchouli and Musk.